Before casting a Grand Tableau, we choose a Significator or more, such as a the Woman (Lady) for the person questioning the reader (Querent), the Man (Gentleman) for the man of interest for the lady (Quesited), a potential rival (and other "characters" in the story), the Book for a project involving writing or planning, Tower for one's job, Sun for a summer cruise we want to inquire about, and the examples may continue. It is however recommended to use the GT when we have many questions about a situation ( and not just one or two that can be answered with a simple spread) or we want an overview about it in all life areas covered by the GT and specifically when we want to see the evolution in time (past, present, future) of a situation, relationship, our life in general, a certain life domain. I am offering both classical PETIT LENORMAND GRAND TABLEAU, with a twist. I am not using this layout for past, present, future focus (although there are many indications about them in the spread, and a focus on the Quesited's INTENTIONS in various life areas) but for analyzing the current state in someone's life. It shows a description of the person (physical, psychological, job, interests, emotional state, thoughts and feelings) and every area of their life: HEART whom they love, if they love; RING if they are in a relationship (and with whom) or single, what their current relational status is; HOUSE their family and house TOWER career situation etc. and various other things of focus in their current life (e.g. if they are faithful and committed or not, a very common topic of interest). The focus is mostly on the present and it is like a "magnifying glass" on someone's inner and outer life. The GT covers every area of their life. It is a perfect spread for identifying the current influences in the life of a person of interest ( someone in the present; or from the past we're no longer in touch with, but want to know how their life is; although, watch out, the spread is rather intrusive and leaves almost nothing hidden). It can also be applied to identify partners from the future, such as one's soulmate/ most important relationship or next romantic partner, for it shows how the querent and quesited meet and what the future partner will do at the time of the meeting, their situation in all life areas at the time and a general profile about this next partner. Of course, the spread can apply to other topics, such as a project instead of a person and it shows the current influences surrounding that project and its possible evolution. 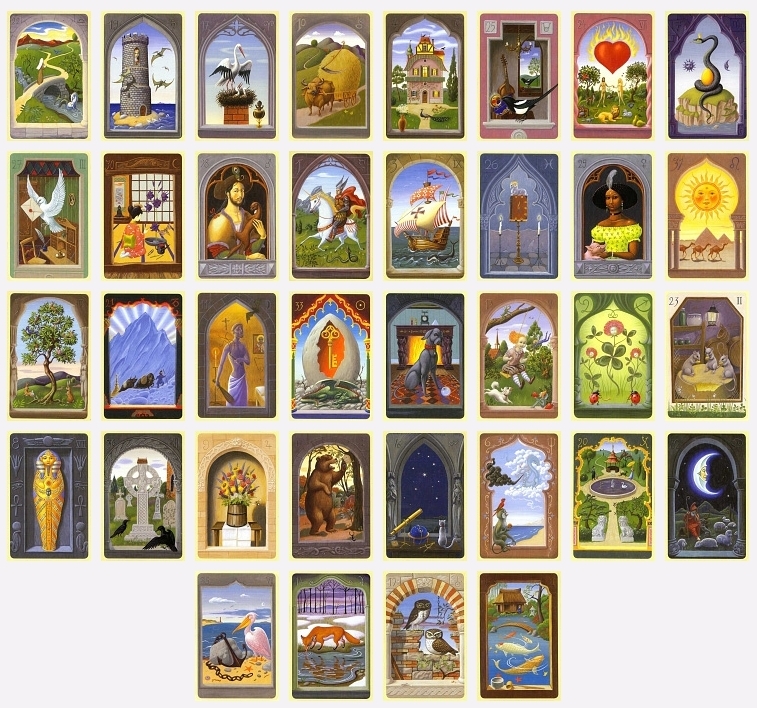 This variation of the Grand Tableau is a classical versatile layout that can be used for all kinds of questions related to all areas of our lives and it focuses mostly on evolution in time: past/present/future of our life in general, the life of a person of interest or a specific life area (love, career, spirituality etc.) or project/relationship. This GT can be used to describe the upcoming events in someone's life for a specific time frame ( a week, a month, up to a year) and even the whole future pertaining to a query (no time frame). It's perfect for a general reading about your life in the upcoming year (usually, the GT covers 1 year as maximum time frame, but customized time frames can apply, such as: "Where will I be/do 5 years from now?" etc.) and also no time frame at all if we just want to look at major events overall, for a specific question (such as: What/how will my career be in this life? How will my love/marital life be?) . It is also perfect to analyze the past, present, future and evolution of any relationship (on all levels: actional, events, feelings, thoughts) and any project/life area. Some GT's are past oriented (the querent or quesited is processing the past right now, or is still very much connected to it), others show a lot of future (the querent begins a new cycle). 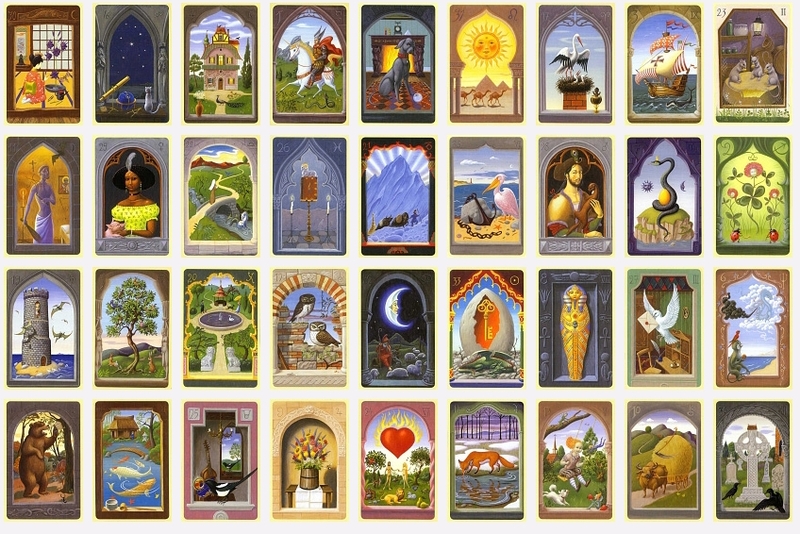 Every GT is unique and the "Fates" are delivering the cards according to what is important for us to know at the moment of the reading.